NEW YORK – Dec. 11, 2012 – Return Path, the global leader in email intelligence, today announced the results of its global bi-annual mobile email report, finding more people are opening email on mobile devices (37 percent) than through webmail using a browser (30 percent). Mobile open share has increased 300 percent since 2010 and shows no sign of slowing, with four out of 10 emails sent being read on a mobile device. Mobile usage is greatest among the retail (40 percent), consumer product (40 percent) and real estate (38 percent) industries. The study also found that the type of information being reviewed could impact open rates on mobile devices. A significant amount of banking-related emails (60 percent) are still opened on desktops, likely for security reasons. Ensuring email marketing campaigns are optimized for both mobile and the desktop has emerged as a necessary step for marketers, as mobile email has twice as many click-through conversions than search or social (Monetate, 2012). That said, the study shows email users still make most of their online purchases through a desktop computer, proving that optimizing for both platforms is essential. Globally, the report also found a variance in mobile usage by region. More Americans open email on mobile devices than their European and South American counterparts. In most regions, Android and iOS dominate the mobile marketplace. Return Path also uncovered data that suggests mobile behavior varies depending on the smartphone operating system. The complete study, including infographics, can be downloaded here. Return Path analyzed data from its email intelligence tools that tracks which platforms and email software programs subscribers use to open emails. For this study, we examined nearly 1.8 billion data points from April 2012 through October 2012. 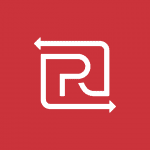 Return Path is the worldwide leader in email intelligence. We analyze more data about email than anyone else in the world and use that data to power products that ensure that only emails people want and expect reach the inbox. Our industry-leading email intelligence solutions utilize the world’s most comprehensive set of data to maximize the performance and accountability of email, build trust across the entire email ecosystem and protect users from spam and other abuse. We help businesses build better relationships with their customers and improve their email ROI; and we help ISPs and other mailbox providers enhance network performance and drive customer retention. Information about Return Path can be found at: www.returnpath.com.